… what … more beer again this week Ted? 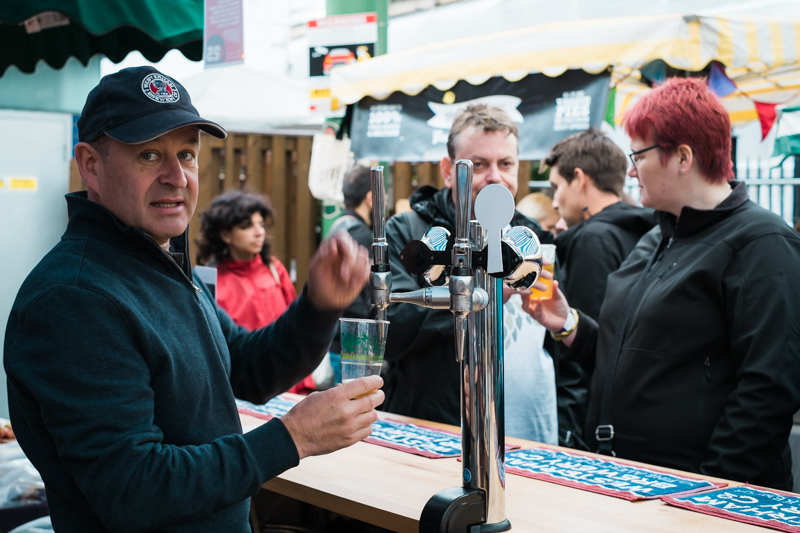 Yes but wait … this time it’s a “Food meets Beer” coming together at the fabulous Borough market. A summer weekend festival of beer and food matching with education of the fun type galore – beer safaris, cooking demonstrations, brewers and beer guru’s including the renowned Melissa Cole “SommALEier” talking about beer, and of course lots of beer and food to sample, consume, and take home. There was only one small problem … while it might officially be summer calendar-wise it certainly wasn't weather-wise, and not even the most patriotic and weather hardened Londoner could pretend otherwise. It was freezing - 12 degrees celsius - 53 for you farenheighters!!! Look at what the people are wearing ...winter clothes!!! I had to keep changing the hand I was holding my beer in as it was freezing my hand (probably ever so slightly dramatic there Ted). 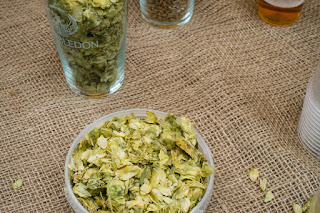 In the interests of education I soldiered on and learnt amongst other things that hops once picked must be dried within a matter of days or they will rot. 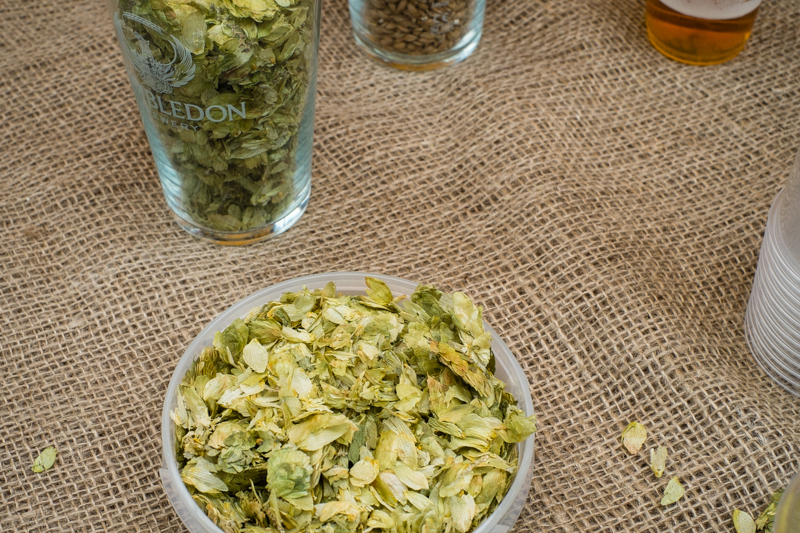 Today the majority of the brewers use hop pellets which are much more concentrated than their dried leafy equivalents and have the added advantage of not leaving a wet mulch of hop residue at the bottom of the fermenter that has to be cleaned out by hand before the next batch can be brewed. 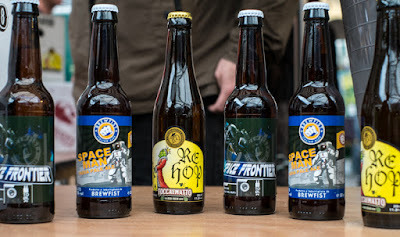 They were kind enough to provide some food and beer pairing principles for guidance. Like wine pairing you can choose complement or contrast as your starting point - and then consider the flavours, fat, acid, etc and the weight of the beverage for the food. Along with the many traditional combinations like cheese and charcuterie I found some pretty interesting suggested “meetings” like freshly shucked oysters with London Brewing pHuchsia, a slightly sour cherry and raspberry beer to contrast with the sweetness of the oysters. Then there was lemon cheesecake with Wild Goose Chase farmhouse ale brewed with gooseberries giving tart flavours to offset the creaminess of the cheesecake, and beer caramels made with Fourpure Amber Ale accompanied by the same ale for the perfect complement. I think I'd have to take a pass on the taste testing. I'm not all that fond of beer but, oysters and champagne would draw me in. Even with cool weather, it sounds like you enjoyed it.